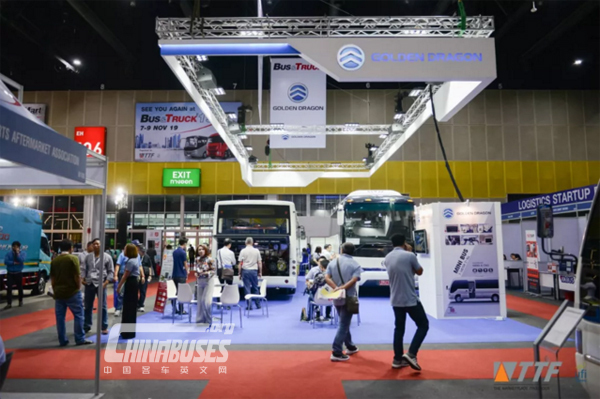 From November 1 to 3, Bus & Truck 2018 was held in Bangkok, Thailand. Mr.Arkhom Termpittayapaisith, Minister of Transport, Mr.Thongyu Khongkhun, Chairman of Thailand Road Transportation Association jointly cut ribbons for this year’s event. At the opening ceremony, Mr.Arkhom delivered a keynote speech, pointing out that Thailand will make great efforts to promote greener, more efficient and more intelligent transportation in the next two decades. 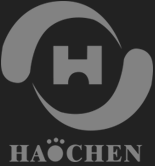 To achieve such a goal, he welcomed commercial vehicle brands from all over the world to his country. 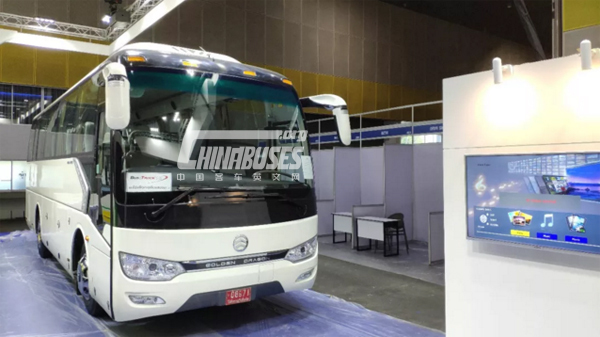 As one of the leading bus brands from China, Golden Dragon brought five bus models on display, including XML6845 city bus, Splendor, Coaster, etc. 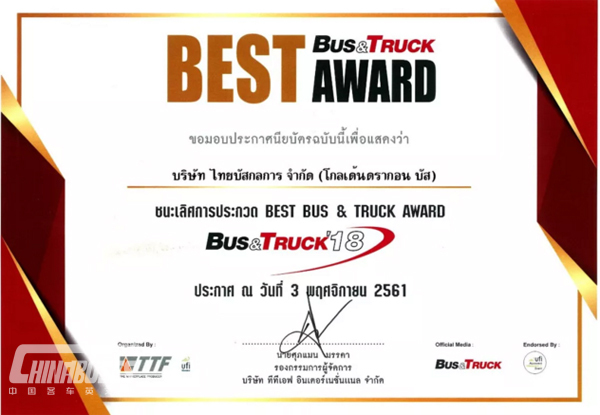 Thanks to its unparalleled travel comforts, high safety standards and high fuel economy, XML6845 was voted by visitors as Best Bus & Truck Award. 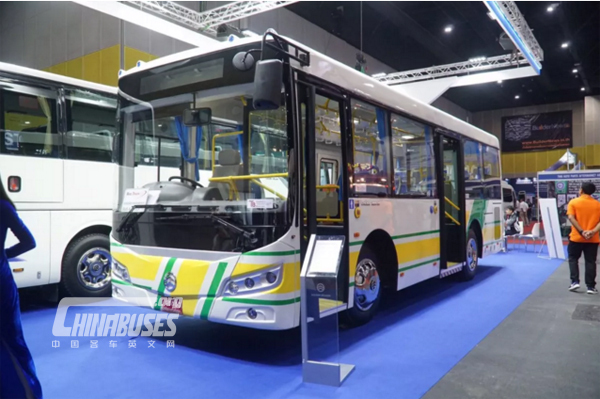 Fully epitomizing the rich experience of the bus maker in the bus manufacturing industry, XML6845 city bus possesses an awe-inspiring appearance and a more streamlined body structure. 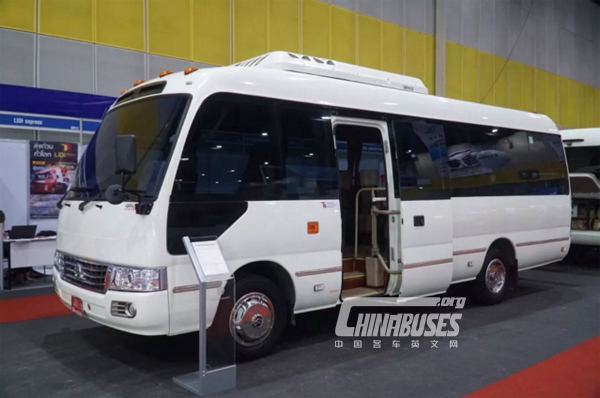 Providing a cozier environment and more spacious room for passengers, the vehicle is equipped with a host of state-of-art bus manufacturing technologies. Since entering the southeast Asian market in 2003, Golden Dragon has already established a solid reputation in this region. In the past few years, its annual export volume to the region exceeded 500 units. 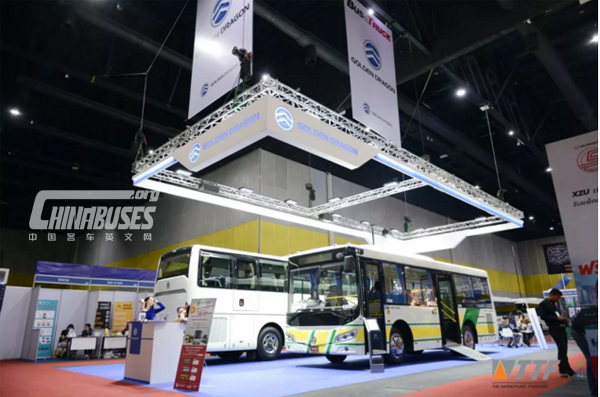 Statistics also reveal that the number of Golden Dragon buses operating smoothly in Southeast Asia has exceeded 4,000 units so far.